New technology is bridging the language gap between doctors and patients in Dallas. Video remote interpreting in 25 languages is now available inside the emergency department at Baylor University Medical Center in Dallas. The portable video kiosks can be wheeled into patient rooms. Within minutes, an interpreter is on the monitor, much like in a Face-time call, talking with the patient and relaying his or her communication to the doctor. "Bringing in an on-site interpreter usually takes two to four hours. 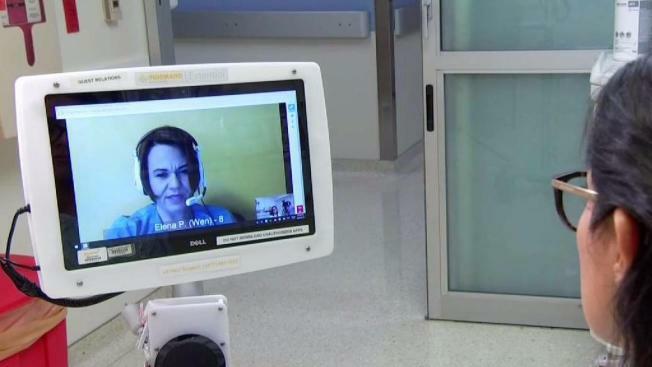 Now, we are able to pull in the device in a matter of minutes and in seconds, have an interpreter on the line," said Joe Valenzuela, Director of Support Services at Baylor University Medical Center. According to data, about of third of Dallas County residents speak Spanish, which is the most commonly used language for translation services. However, Valenzuela said growth in North Texas over the last five years has increased the need for more languages. "Two years ago, we had a influx of Burmese that came into the metroplex," Valenzuela said. "American sign language was a little surprising," he said. "There's such a huge need for certified American sign language interpreters," he said. "By using this device, we know that we are using a certified deaf interpreter." They have 30 portable kiosks with plans to add even more.